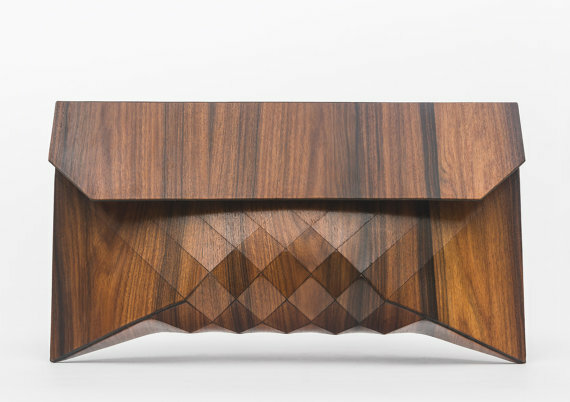 With wooden clutches that look like portable sculptures, the work of Israeli designers Tesler & Mendelovitch is like having your own personal, and wearable, piece of art. 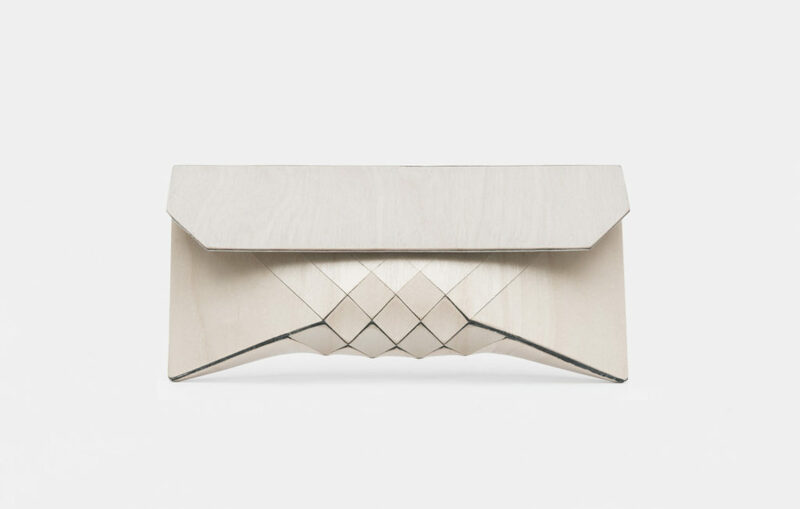 While the design is unmistakably modern and minimal, the geometric design not only adds architectural detail, but makes the clutch flexible and comfortable to hold. Made from a variety of woods, such as rosewood, ebony, and birch, the finish and quality of the wood grain makes each piece unique. Whether the deep chocolate tones of ebony, the rich warm tones of rosewood, or the cool, pale tones of birch, each piece simply glows. Although the design team sees themselves more as textile designers, which they are, these clutches are a beautiful demonstration of what these designers can create. 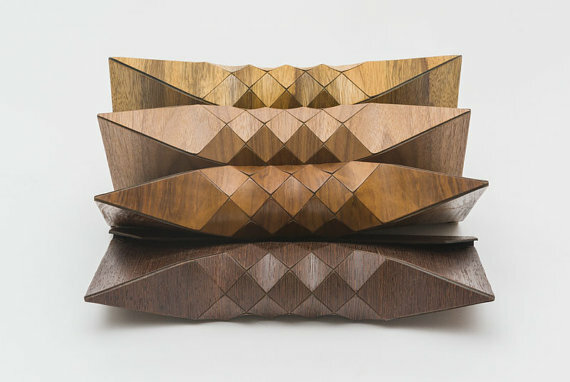 Their unusual sculptural wooden textiles have also been used to make furniture and I can’t wait to see what this team creates next. 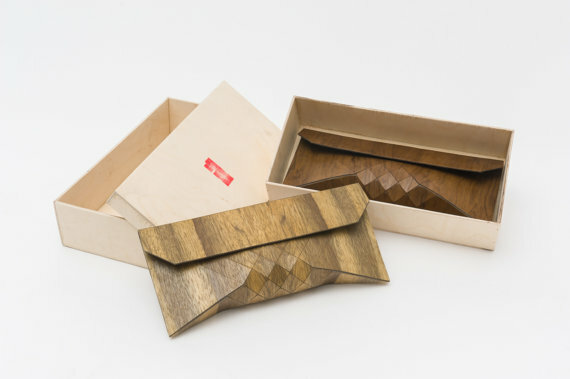 These 100% wood clutches are available made to order through their Etsy store.